Indian God Shiva—is one of the significant deities in Hindu Mythology. One who is such mystical which keeps on fascinating it’s devotees from all sects. Shiva is the misfit God in the very organized Indian Spiritual Realm. Here we are also infected by this alluring Shiva magnetism. So we are trying to crack this complex yet simple Shiva code. Let’s get started to seek Indian God Shiva. Who is Shiva—A Myth, A God, A Character or A Imagination? To unravel to the mystery, let’s reach to the meaning of the word ‘Shiva’ that denotes, ‘that which is not’. Shiva—the word is a deep concept. The one which is nothing—beyond everything, above everything. Shiva is a non-being, he is formless, yet part of every being, every form. He is the basis of the concept of modern science, “everything comes from nothing and goes back to nothing.” Shiva is the whole and for our simplicity, we have given it an embodiment in a character, in a deity, in a God. This is the character which raises our curiosities towards itself. Because he is everything and he is everywhere, moreover he is us! The personification of Indian God Shiva who itself is the entire universe is converted into a character for the easement of humanity to identify the truth of God. 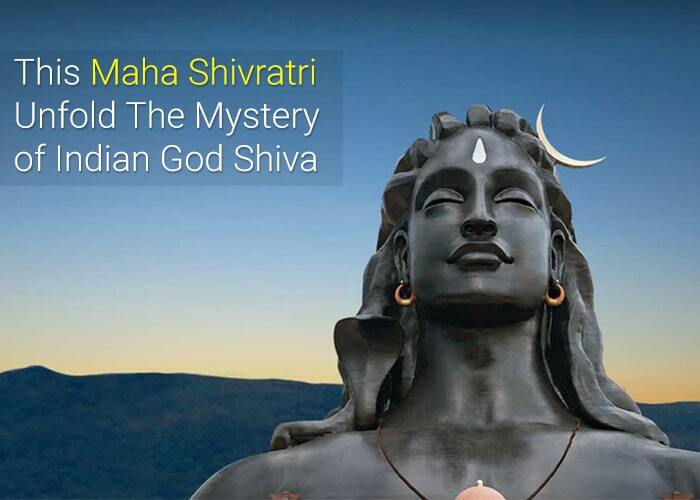 Hence the stories, Vedas and mythological literature describe Shiva as a mystic God, who is a wanderer and a yogi living in Mountain Kailash (the mountain of Peace). He is the strange deity who covers himself with elephant and tiger skins. He has a blue face; he wears ashes of corpses over his body. He wears a necklace of live black snakes around his neck; he holds a trident (Trishula) in his one hand and a Damru (small drum) in another hand. He has an extra eye on his center of the forehead. He carries River Ganges in his dreadlocks. He rides on a bull and holds human skulls. He puts everybody in awe because of this reckless lifestyle, which has deep meanings. The seeker will find the truth behind them all. He is mostly seen in a meditative state, as he is lord of Yoga. He is also a lord of destruction known for his high temper. He performs the dance of destruction, Tandav as a dancing God—Natraj (another incarnation). But he also dances the sweet Lasya, the dance of creation with his beloved wife Mother Parvati (Mother Nature) for the creation of the universe. Most commonly Shiva is represented and worshipped in a Shiva Lingam, a phallic statue that symbolizes masculinity and creation. This popular character of Hindu legends got all the charms to attract his lovers yet haters, devotees yet critics and everybody else! This character in Hindu legends is portrayed as a Lord who has the biggest heart. He is instantly ready on a true call of his devotee. He is so kind-hearted and innocent, that everybody—the deities, demons, animals, ghosts, vampires and all kinds of creatures, are his worshippers. Because he blesses everybody with his blessing beyond the judgment of good and bad among them. His devotees present to him uncommon offerings like ash, leaves of Bilva tree, Jilledu flowers, Rudraksha Beads, jimson weed and everything with pure devotion and he accepts them all to bless his devotees in all their endeavors. He sets no rule to worship; there is no fixed time to pray to Shiva. Neither Shiva is time-bound, nor he is rule-bound. He is above all! Shiva also depicts the state of authentic blissfulness. That’s how he lived smoking weeds and consuming cannabis. Although Shiva always remains in the state of meditation—calm and composed, while balancing his pleasure state. He is reflecting the world the art of achieving blissfulness through mind by practicing meditation and mindfulness. As the pleasure mind can bring no outer intoxication can ever bring. Let’s learn this wonderful secret of Shiva for ultimate bliss! 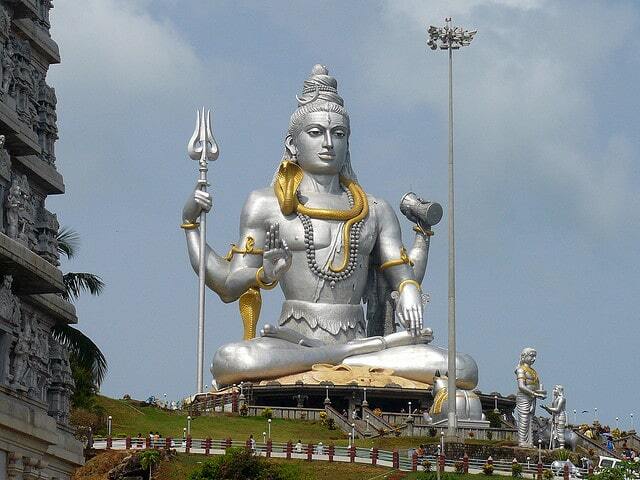 Indian God Shiva is a great example of a perfect man on the planet. He is the man who represents the balance of masculinity and femininity in himself as Ardhanarishvara (half man and half woman) recognizes as Shiva and Shakti. He depicts the importance of balance masculine (yang) and feminine (yin) energies to live a life of harmony and inner peace. Also, he set an example of an ideal husband, ‘cause his beloved wife Parvati always stayed in him. Who better can provide love lessons than this balance man, who also is a favorite husband? As Shiva Purana (an ancient text on Shiva) states, once Parvati asks him about his favorite day. He replied that the 14th night of new moon of the month of Phalgun (month of Hindu calendar) is his favorite. That is called Mahashivaratri. This is the night of seeking and celebrating Shiva residing in you. To perform this divine act, what’s better than the day which is dear to Shiva? It is also said that on the auspicious night of Mahashivaratri, Shiva tattva (element of God) touches the earth in the best possible way. So, it’s time to witness our inner Shiva on the divine night of Mahashivaratri! Indian God Shiva is infinite, so is his mystery. He is the most beautiful, yet he is dreadful. He is a great celibate but also a family man. He is the creator and also a destroyer. He is a drunkard and a drug addict and also the most disciplined. He is a great dancer yet he is so tranquil. He depicts and lives all complex amalgamation of all qualities of existence. He is a way of life. He is the one, you never can find him out you, ‘cause he ever stays in you—ready to enlighten the seeker in you.